On our first foraging trip we collected elderberries and now have some wine fermenting away. Next came a hunt for sloes and to be honest they weren’t hard to find. Back to the same hedgerow that was packed with elderberries and there they were the plump, dark berries, just waiting to be picked. And it wasn’t long before we had a couple of pounds in the tub. Also known as blackthorn the sloe is a predecessor of the cultivated plum but is extremely bitter until mixed with sugar and gin to make one of my favourite winter drinks, sloe gin. You should pick sloes after the first frost (which was this morning in our case) but you can replicate this by putting them in the freezer. Then take a pound of sloes (prick them to help release their flavour), about half a pound of sugar and half fill your bottles topping up with gin until almost full, then seal. Leave for a couple of months, turning the bottles every now and then to mix up the ingredients. Perfect for a Christmas tipple!! Here’s some tips on making sloe gin. Enjoy! 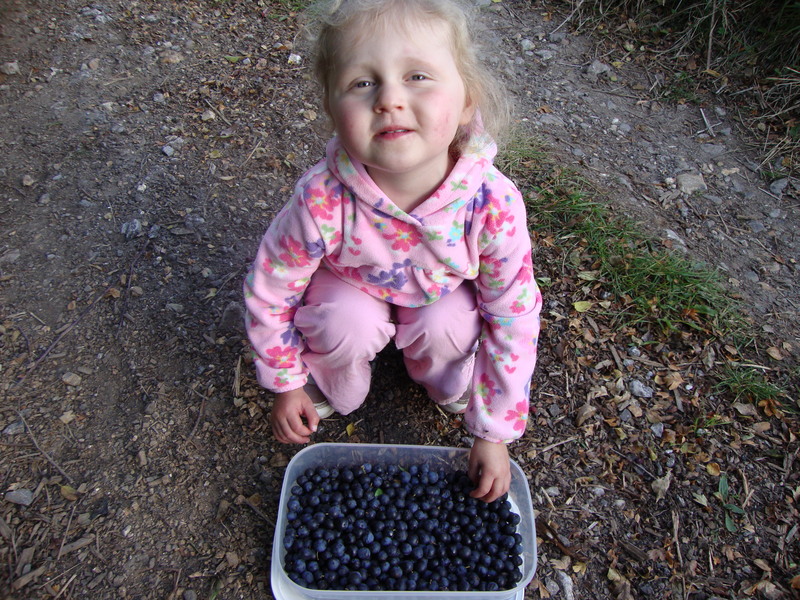 This entry was posted in Foraging and tagged Blackthorn, foraging, Sloe Gin, sloes. Bookmark the permalink. Oh what finds! Elderberry wine and Sloe gin! I absolutely love sloe gin. Enjoy, cheers! Hi Lucy, I’m sure we will, I can see it now, snowing outside, woodburner roaring away and a glass of sloe gin! You’ll be able to stock a pub soon Damo! I certainly won’t need to visit one for a while Sue! You’re having better luck finding sloes than I am. I’ve even got a blackthorn on the allotment, planted deliberately in order to give me sloes. How many has it given me? Not a one. I may have to shout at it; it worked for the plum tree. But I did make some apple & blackberry vodka last night. Come back in 3 months and ask me what it’s like. Seemed to need an awful lot of sugar. Apple & Blackberry vodka sounds good, hope it turns out OK. There seems to be loads of sloes around here, didn’t take long to get a couple of pounds of them. I’ve never come across any sloes and wouldn’t know where to start looking for them. I feel like I’m missing out. The hedgerows around here are full of them, depends if you like the drink of course but you can make a jelly out of it as well. 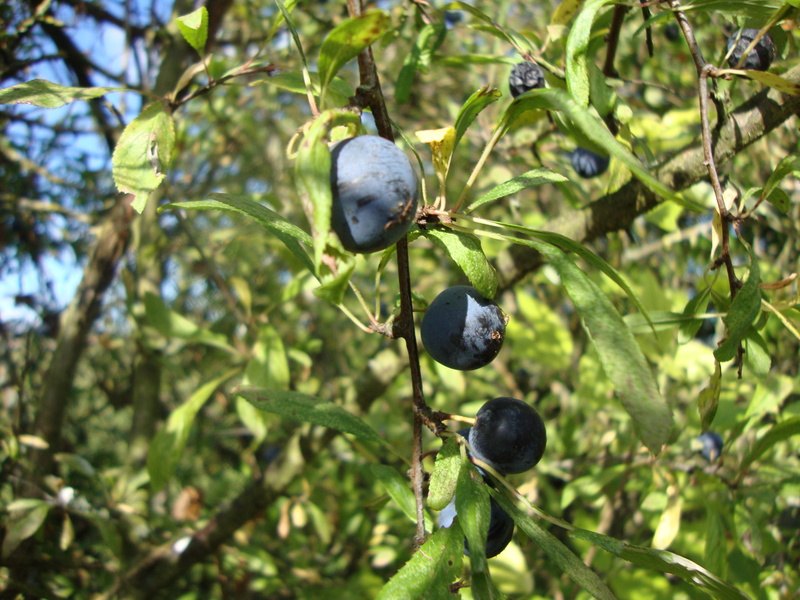 I’ve noticed that this year is a bumper year for sloes. I’ve been dog walking the same route around the common for nearly 30 years and I’ve never seen so many sloes as there are this year. Just how many litres of sloe gin can a girl drink? If it’s as bad a winter as last time quite a few Matron! They’re everywhere in the hedgerows, we’re making a couple of litres. Would be a great Christmas presents for friends as well.